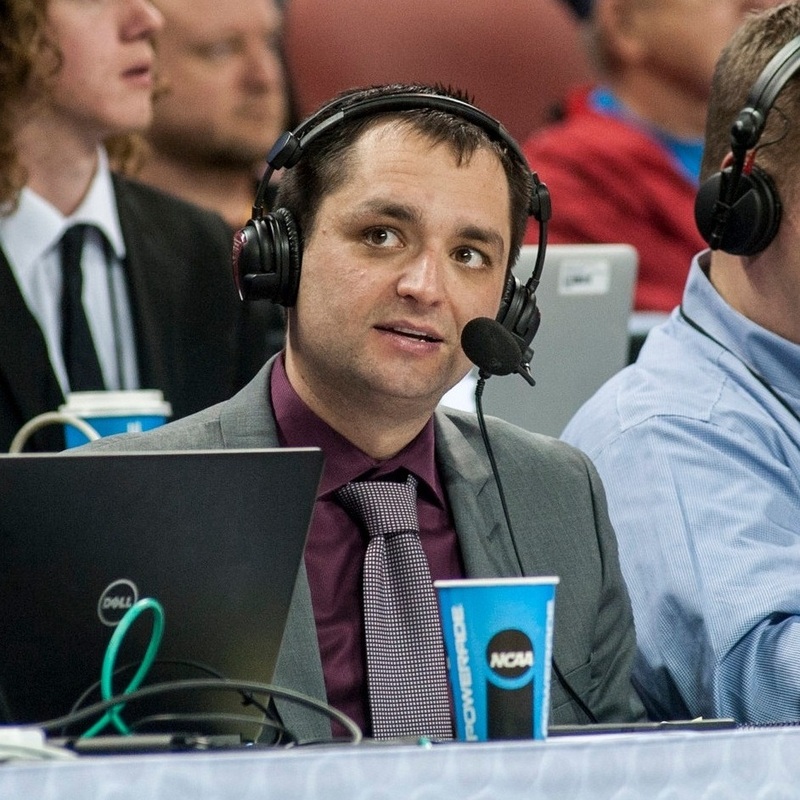 Riley Corcoran is in his 3rd year as the play-by-play announcer for the University of Montana. As the "Voice of the Griz," Corcoran calls Grizzly football and Men’s basketball, as well as hosts radio and television versions of the Grizzly Coaches Show. He also calls volleyball, softball and serves as the emcee during the Grizzly Scholarship Association Spring Tour and Grizzly Auction. For his work, he was named the 2018 NMSA Montana Sportscaster of the Year. When he is not on the airwaves for Montana athletics, Corcoran also can be seen calling various sporting events for SWX Television. Prior to his time at UM, Corcoran spent three years as the play-by-play voice for Montana State Women's Basketball and the sideline reporter for Montana State Football. In addition, he was responsible for various elements of the pregame, halftime and postgame shows for MSU football and hosted the basketball coaches show. A native of Billings, Montana, Riley is a 2011 graduate of Washington State University where he earned a Bachelor of Arts degree in Broadcasting with a minor in Sport Management. At Washington State, he was the Sports Director of the campus radio station, hosting his own radio show and broadcasting games for WSU athletics during all four years in college. He also hosted the school's only sports television show as the lead anchor for two years. In 2011, he won the prestigious "Keith Jackson Award" distinguished to the school's top sports broadcaster. After receiving his college degree, he worked in Boise, Idaho as the Sports Director for 630 The Fan. While in Boise, he was named the state's "Best Play-by-Play Broadcaster" and hosted a daily two-hour radio show. When Riley is not on the air, he is usually spending time with his family enjoying the great state of Montana. His hobbies include: golfing, traveling and chasing stadiums around the country.